Ferris (Matthew Broderick) is joined by his beautiful girlfriend Sloane (Mia Sara) and his goofy sidekick Cameron (Alan Ruck) as they romp through Chicago looking for thrills. As the movie progresses, it is clear that Cameron harbors parental issues. 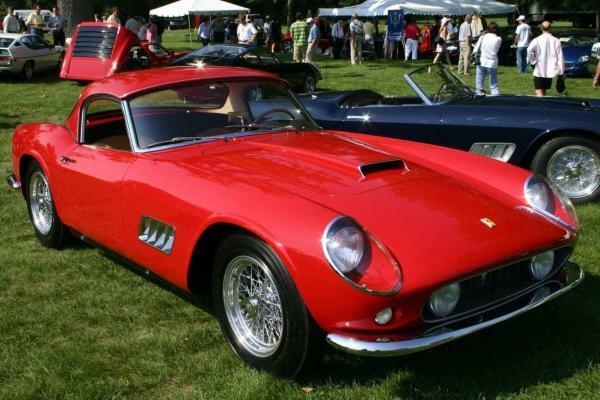 He especially resents the attention his father lavishes upon a 1961 Ferrari 250 GT Spyder California. This awesome roadster featured a 280 horsepower 250 V12 and amazingly, only 55 were built. At the climax of the movie, Cameron kicks the car in a rage, sending it hurtling out of his dad’s showroom, through a plate glass window and into a ravine. Thankfully, a specially constructed fake was used for this scene!